Finally! We’re getting a little bit closer to finding out who is behind this whole A-game. Rather, at least we’re getting to a place where we can eliminate some major suspects. We begin our episode by watching Emily turn into quite the awful daughter. Her parents’ are under investigation by child services, because they suspect Emily is being abused. It’s completely false and she still refuses to tell them the truth about what happened to her shoulder (she was nearly run over by “A” when she went looking for Mona’s lair). Her scholarship plans are ruined thanks to this injury. While I do believe she was hurt, I get the sneaking suspicion that “A” got his/her hands on her x-rays and made the results far more severe than the truth. Ashley (Hanna’s mom) is feeling the pressure from Det. Holbrook and his partner Lt. Tanner.They showed up at her place of business, which just happens to be the bank where Wilden had a safe deposit box which was filled with an abundance of goodies. Multiple passports, thousands of dollars and a gun. 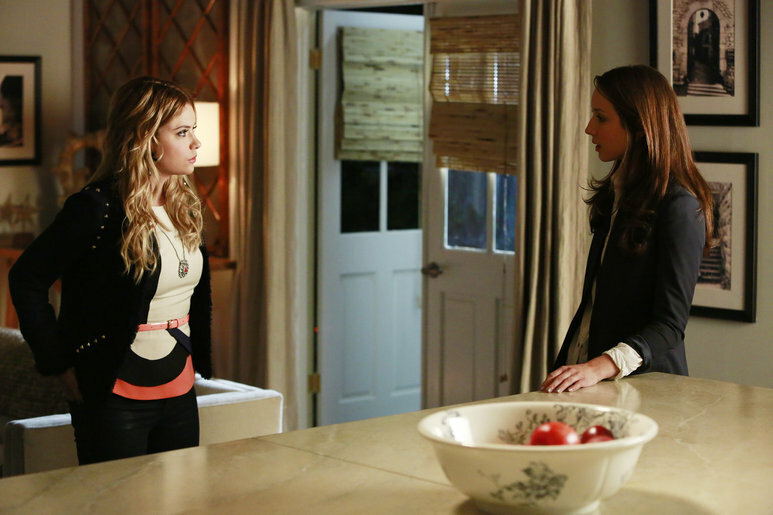 Hanna happens to be visiting her mom when this takes place and the Lieutenant is clearly convinced that Hanna and her mom know something that they’re not telling. I’m going to go out on a limb and say she is correct. Hanna seems convinced that her mom killed Wilden, so in her efforts to protect her mom, she is making herself looking guilty in front of the cops. Toby is currently convinced that his mother didn’t actually commit suicide while she was at Radley, but rather thrown out the window. He doesn’t know who could possibly want to hurt his mom and decides to hunt down her former doctor, Dr. Palmer, in order to dig for some extra information. Spencer, super detective that she is, hunts him down at a hospital in Saratoga, N.Y. Toby insists on making the trip himself, and for the first time ever he actually gets some semi-useful information. After talking to Dr. Palmer for a couple of minutes, Toby realizes that he doesn’t work at the hospital, but that he’s clearly a patient there himself. It isn’t until Toby is waking away that Dr. Palmer mentions that he had always told Mrs. Cavanaugh to stay away from, “that girl.” This peaks his interest greatly. He pushes for a name, but the only thing Dr. Palmer can give him is, “the pretty blonde girl.” I don’t know about you, but when I hear anyone on this show talk about a pretty blond girl, the name Ali runs through my head. I can’t wait to see how they push the sanitarium snooping. Now, just like the show itself, I have saved the best for last. Remember, Hector? He’s the guy that made the masks of Ali and Melissa and now Emily. Well, hoping to trap Melissa into giving up some information, Spencer and Aria leave the Melissa’s mask in her kitchen where it will definitely be seen, while they stay outside and essentially stalk her. As they suspected, she head’s straight to Hector’s place. Melissa comes rushing out of his shop with a bag full of, what we quickly discover, to be the masks of her face, which she is smashing and throwing in the river when Spencer sneaks up on her and demands to know everything Melissa knows. The breakdown is as follows: Melissa was on the Halloween train, but wasn’t aware Wilden would be there, let alone trying to kill Spencer and Aria. 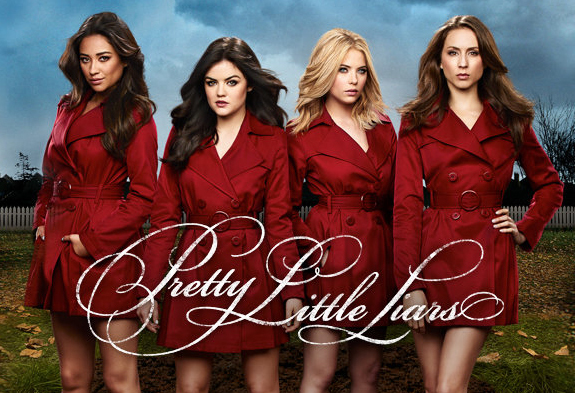 Melissa sent Jenna and Shawna to the cabin to spy on the liars to see who they were meeting when they were trying to catch red-coat Wilden set the cabin on fire, but she doesn’t know who dragged them out of it. 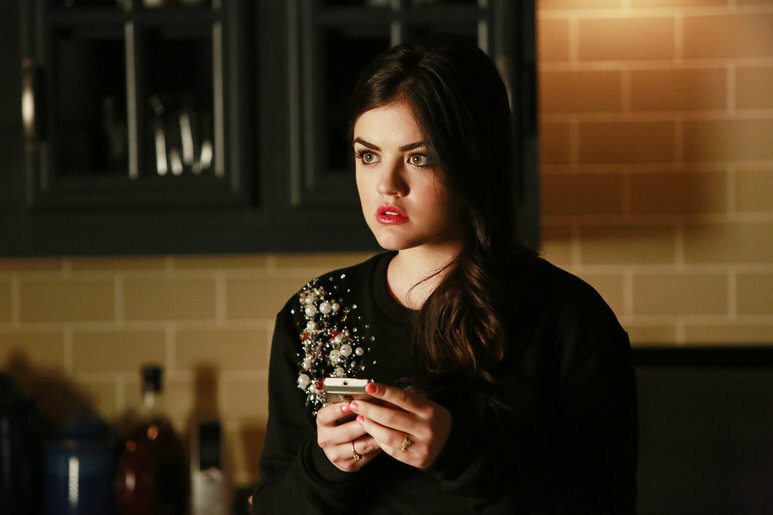 She claims everyone was afraid of Wilden and that she is just as in the dark as the liars. Not that she was involved with him in any way. She swears up and down that she has been trying to protect Spencer since the very beginning and that she’s not too sure Ali is dead. From where I was sitting, Melissa left things looking like she quite possibly could’ve been the one to kill Wilden. But, I’m sure that’s a question that we won’t be getting the answer to until at least the season finale.